Cascade.Erode.Construct. 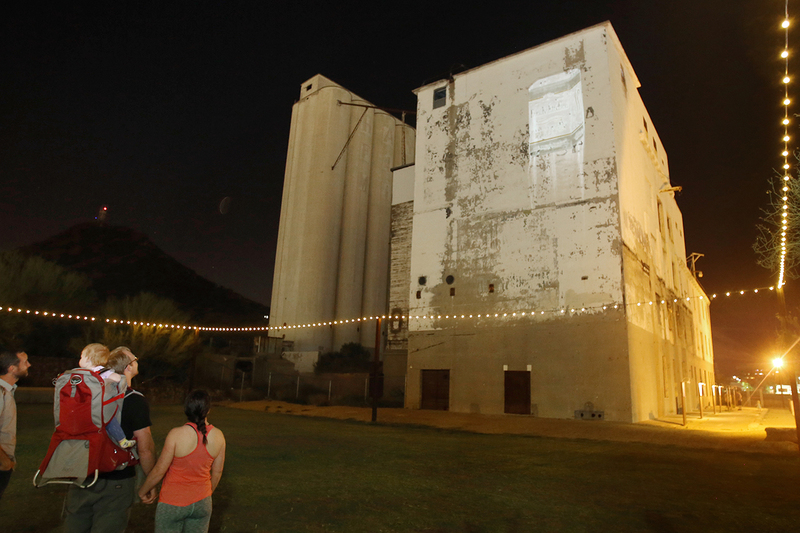 is a video installation that abstractly explores the history of the iconic Hayden Flour Mill. 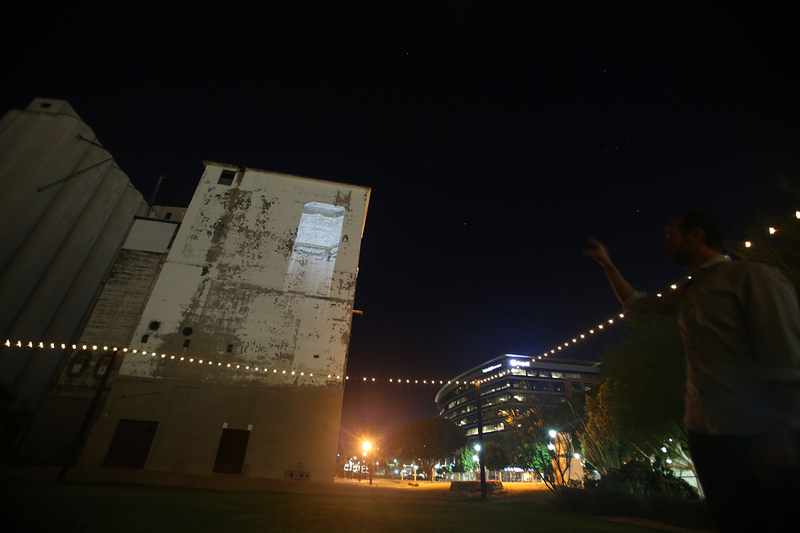 The Mill’s proximity to water (the Salt River) is an integral part of its identity as a Tempe landmark. The movement and erosive power of water form the fundamental structure of the animation from which new forms are constructed. 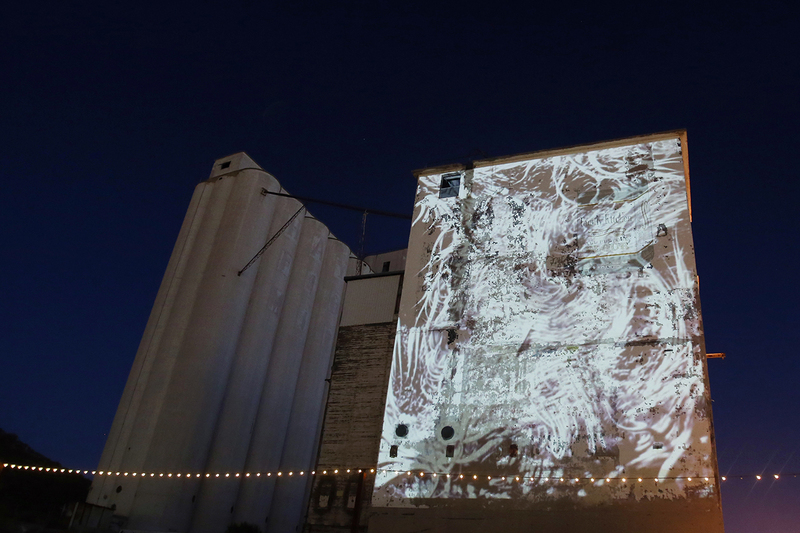 The visual artifacts that remain on the north wall of the Mill are isolated and reinvigorated by the projected light. The animation was created by using a digital image of the wall as the input for a variety of algorithmic processes. 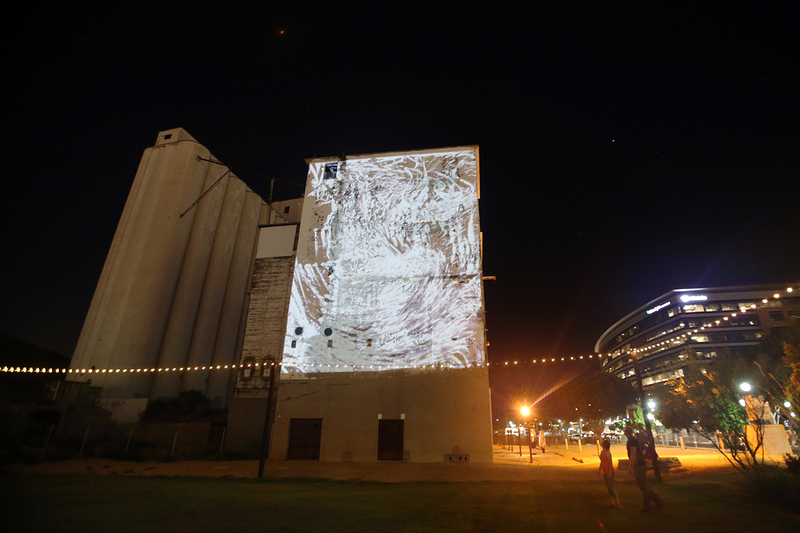 The installation repeats every ten minutes between 8:00 PM and 1:00 AM on the north wall of the Hayden Mill. Casey’s research was facilitated by John Southard and E. Hunter Hansen in the Tempe Historic Preservation Office and Jared Smith at the Tempe History Museum. This project was funded through the City of Tempe Municipal Arts Fund with the support of the Tempe Municipal Arts Commission.